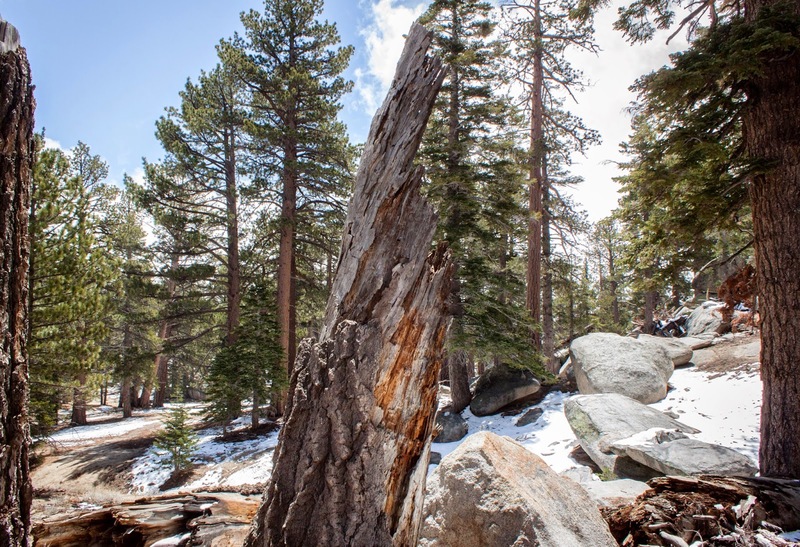 The San Jacinto Mountain range received several inches of snow from a brief and passing storm but the weather forecast now promised blue skies and good climbing temps. 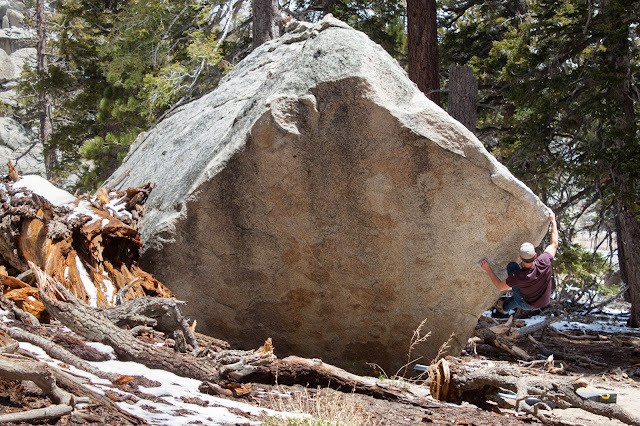 Emily, Jake, Cody and I took this opportunity to escape the city and travel up the Palm Springs Aerial Tramway to 8,500 feet and try some quality granite bouldering. We got an early start and were looking forward to the full day ahead. Someone spilled a lot of chalk on the ground. 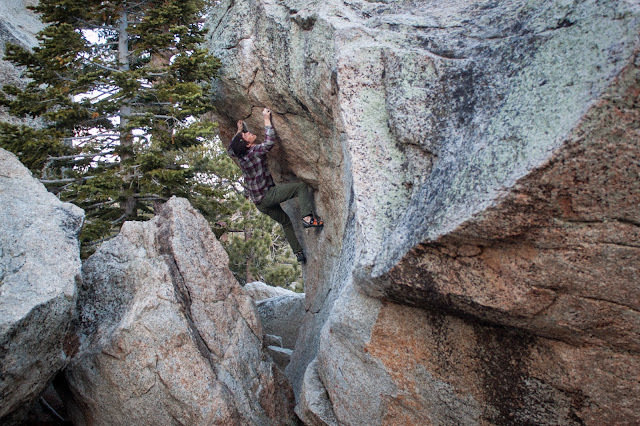 Emily, warming up on The Terminator (V2). Jake, battling the area classic The Cube (V5). 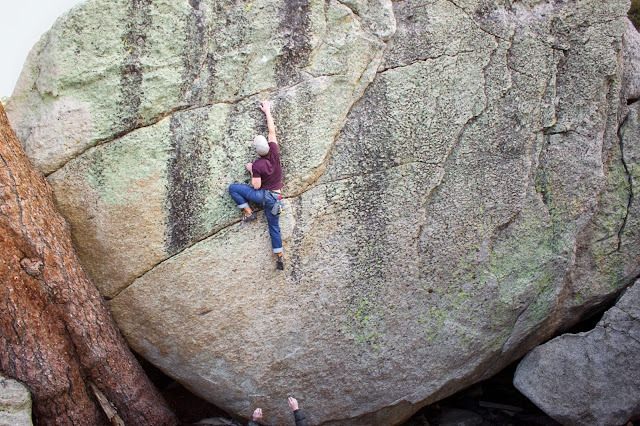 Cody, on the stout Left Hand of Darkness (V9). After warming up we all began working our respective projects but came away without sends and plenty of climbs to return for. 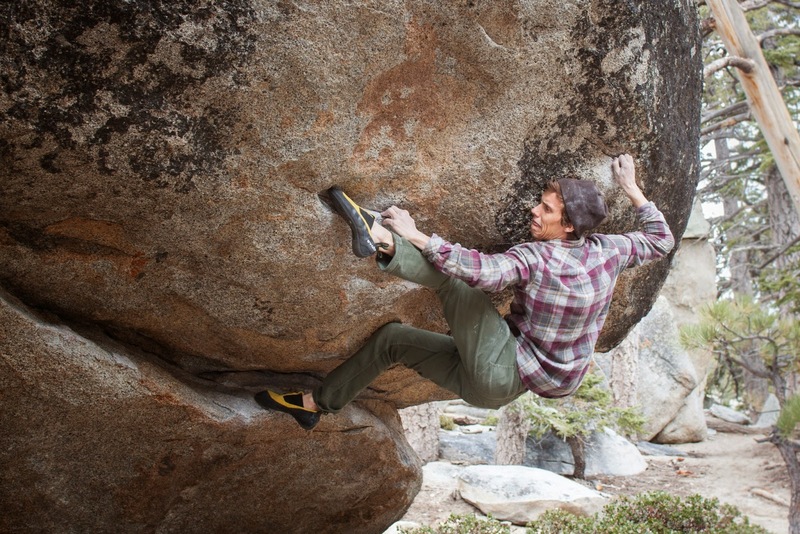 By the afternoon the temperatures had dropped and so had our energy, so we opted for some easier but scarier climbing. 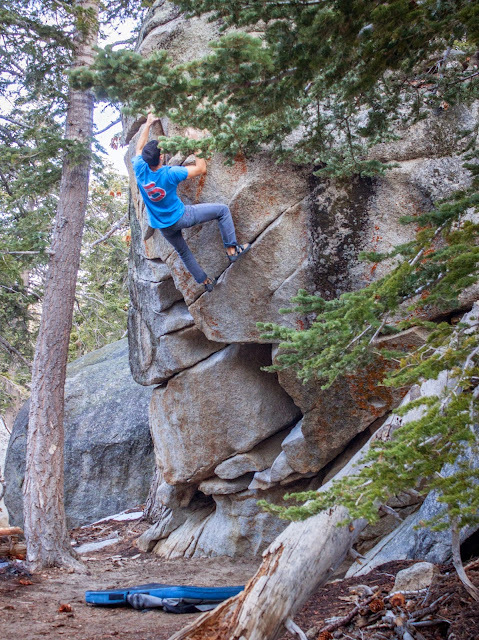 Jake, on the immaculate Emerald City (V0). On our way out (after getting lost for a bit) we couldn’t resist trying just a few more classic lines. 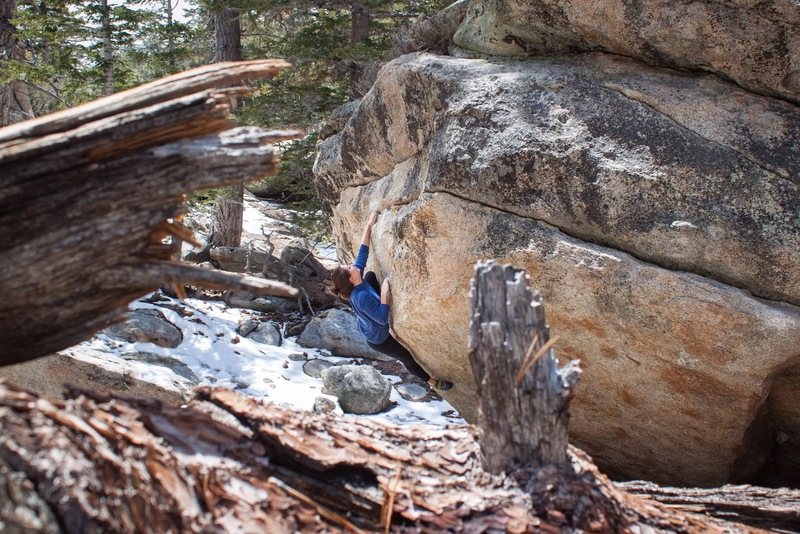 Itai, on the blocks of Sunshine Daydream (V4). Photo by Cody. Cody, preparing for a big throw on Green Hornet (V5). I hadn’t been to Tramway for around 7 or 8 years and I’m hoping it takes me less time than that to get back there. How bout next weekend?